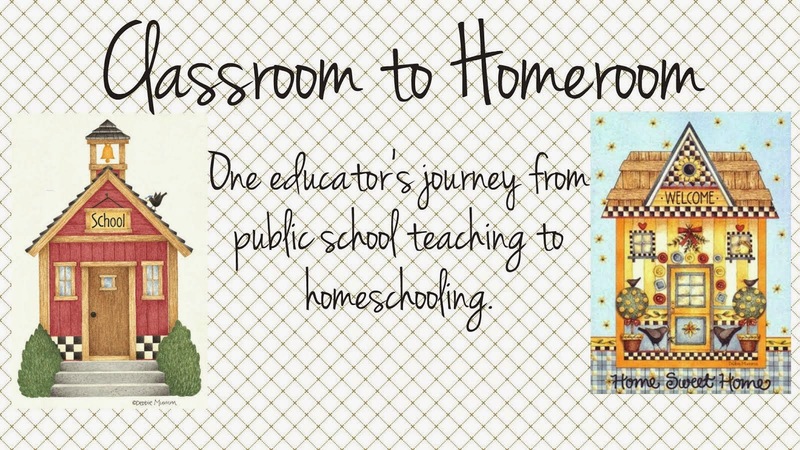 This is a resource I used in the classroom, and I have since continued using it for tutoring and homeschooling. 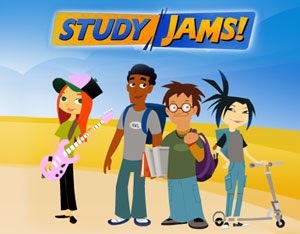 Scholastic Study Jams are very entertaining for kids, and cover a wealth of Math and Science topics through videos, slideshows, activities, songs, etc. You can find over 200 Jams on topics like The Universe , listen to songs about Landforms , and test yourself on concepts like Range . 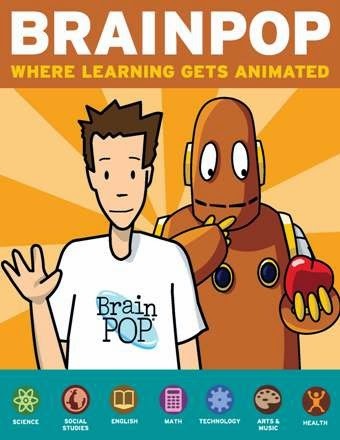 BrainPop and BrainPopJr are wildly popular among homeschoolers and classroom teachers, but many don't know that they have a "free stuff" section for those of us who don't subscribe. These short videos are packed with information on specific subjects and also include activities to go along with them. The "free" choices change from time to time. 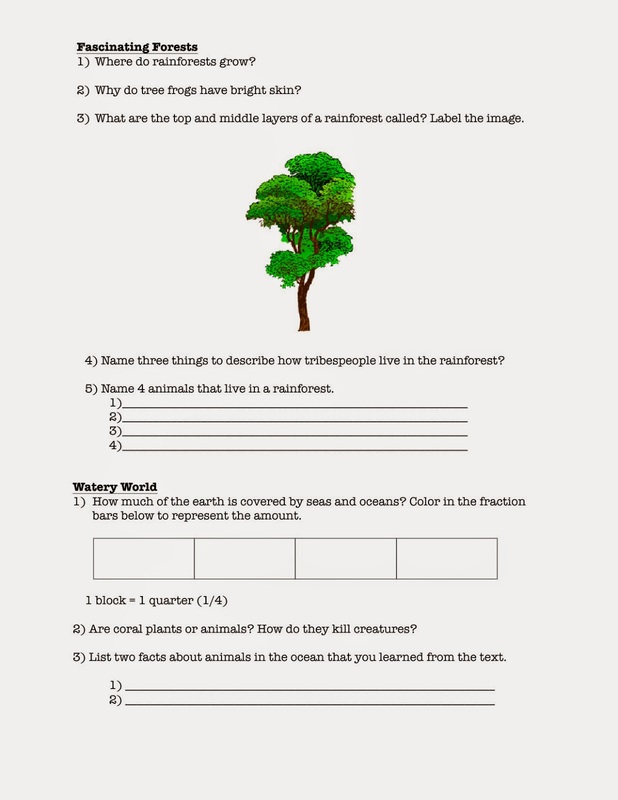 Scroll down at the link for free options in each grade level/specific section. TurtleDiary is a new-to-me site, but appears to be full of great content! Games and content are separated by grade levels, subject areas, and topics. Often they include videos followed by lesson activities to go along with them. Don't let the term "game" throw you off from clicking on a topic. It appears as though that is how they label their activities. For instance, if you visit the 3rd grade page and click on the "game" for Verbs you'll find a "play" button. Once you click "play" it takes you to a series of 5 lessons (videos) and follow up exercises. All of the content on this site appears to be free. 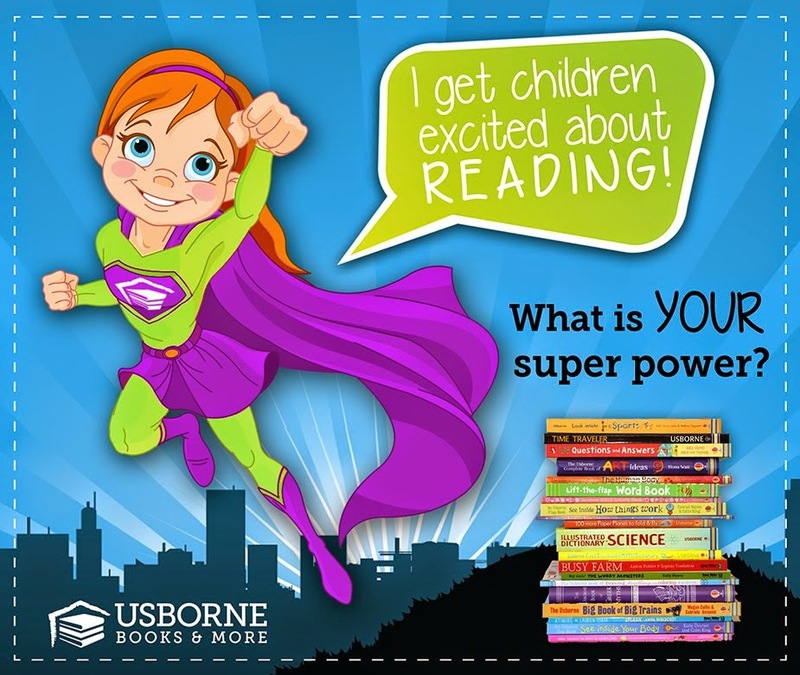 1,000+ Interactive Online Kids Games, Video Resources, Science Experiments and Much More! 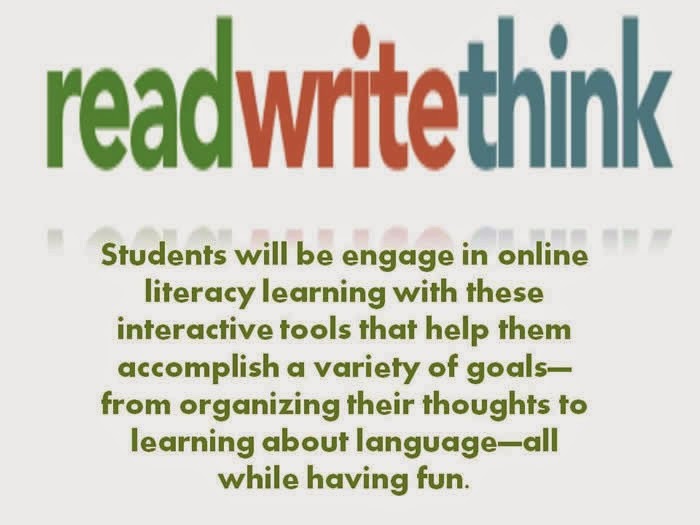 ReadWriteThink has some amazing interactive tools for kids to use to streamline their work. All of the tools are assigned age appropriate grade levels and cover K-12. Students can use them for all subject areas and many are designed to teach students how to organize information and to take notes. I just used the timeline generator with a student the other day which was very successful. 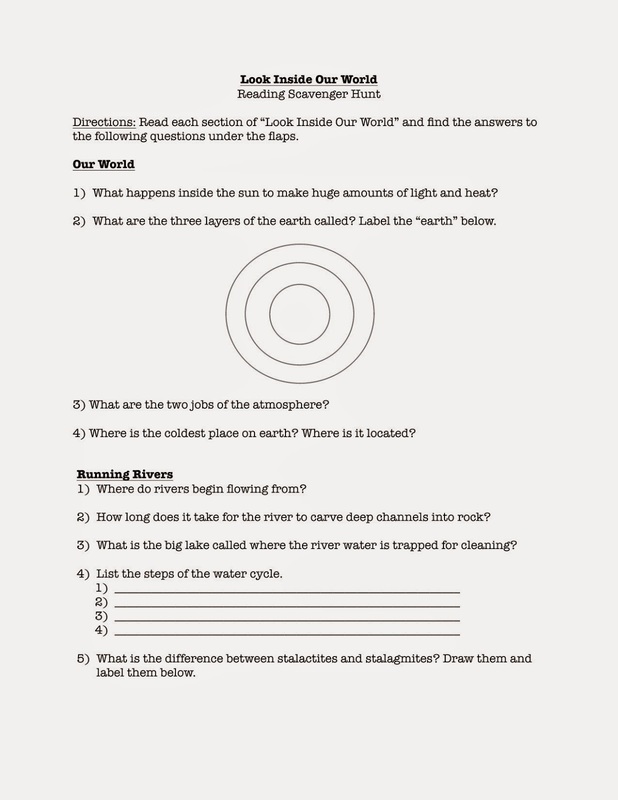 The interactive tools are amazing, and they also offer free lessons and printouts. This is a great resource to bookmark! There are tons of free resources online and it's difficult to keep them all straight. These are the few that I have (or plan to) repeatedly used and I've seen them make a difference in student learning. I'd love for you to share your favorites in the comments below. 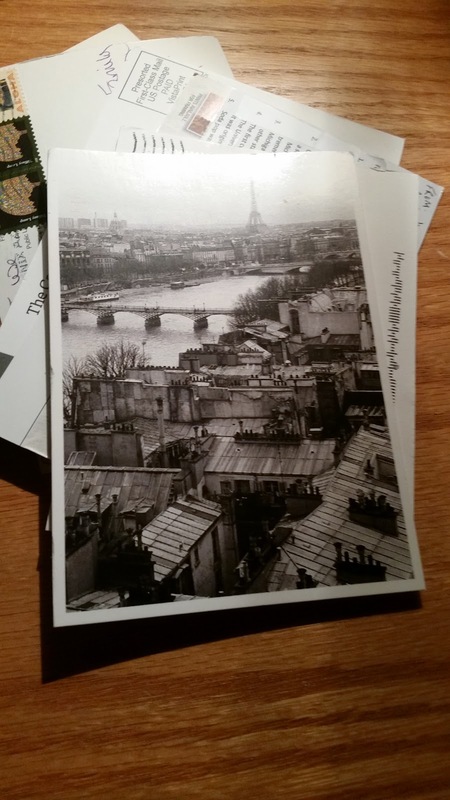 As you may have seen in a previous blog post, we have been taking part in a U.S. Postcard Swap. We are enjoying it, and the activities are FUN! We have loved discovering all of the amazing places and interesting facts from right here in the United States. We pick a postcard each day, and read what our faraway friends want us to know about their home area. 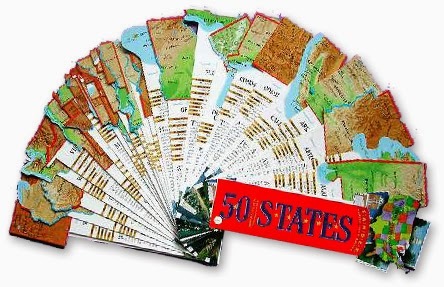 Then we find the state in our 50 States Fandex, read more about it, and then use the map guide on the back of each state card to locate it on our large wall map. 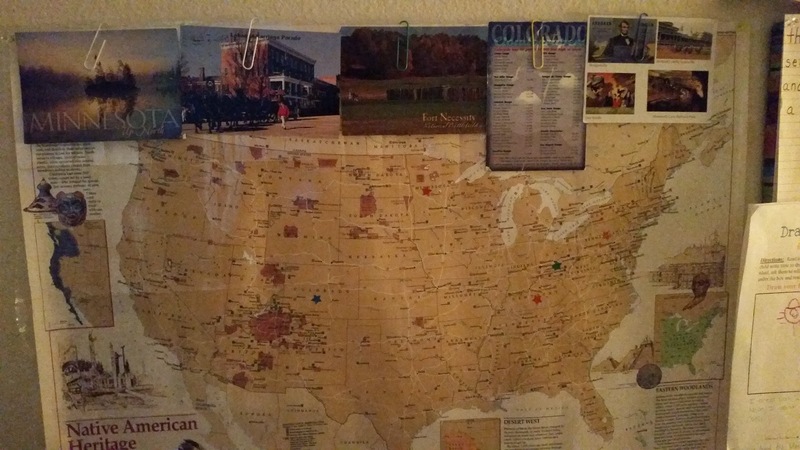 TC (our kiddo) marks each state with a sticker and hangs his postcard on the map. The book includes the traditional tales of ‘Aladdin and his Magical Lamp’ (Persia), ‘Brer Rabbit Down the Well’ (United States), ‘How Zebras Got their Stripes’ (Africa), ‘Why the Sea is Salty’ (Korea) and ‘The Dragon Painter’ (China). Not only are the stories and illustrations amazing, but in the back of the book there is an overview of the story origins. These are the types of stories that our kiddo wanted repeated- and they are paired with beautiful illustrations. 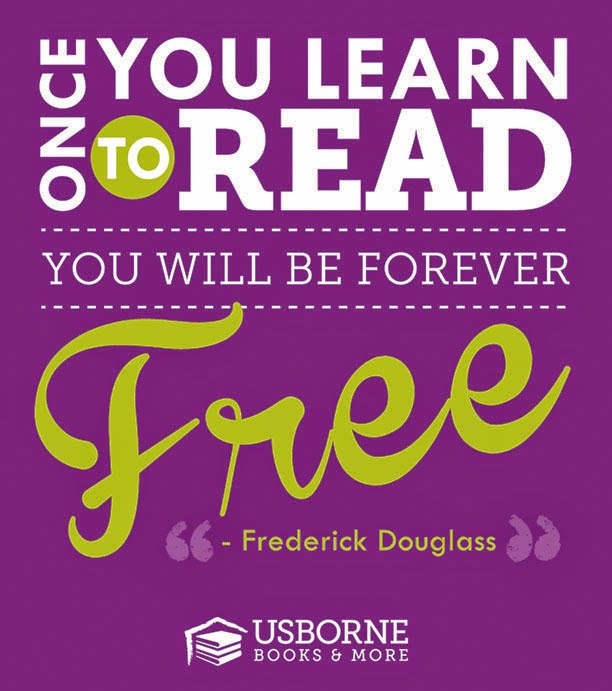 Learning + Love of Reading = 1 Happy Mama. 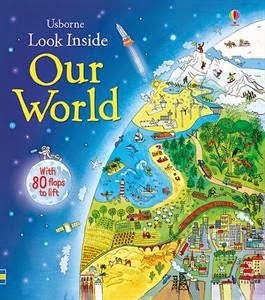 This non-fiction lift-the-flap book features bold illustrations, simple explanations to complex questions and over 80 flaps to lift. 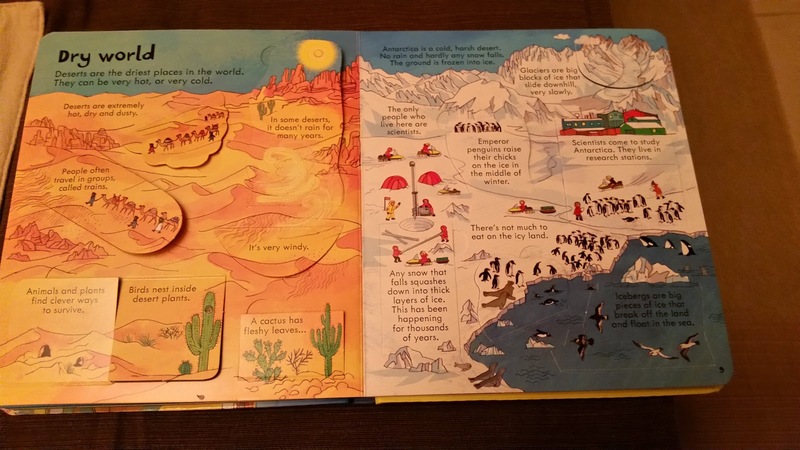 An introduction to geology and geography for young children. The book has over 80 flaps and is divided into sections. This made it easy to go directly to the section that he had questions about. We took our time exploring, as this isn't the type of book that you'll typically find yourself reading in one sitting. This is a view from inside of the book. Lots of flaps makes for little intimidation for younger readers. Once we had made it through the entire book I decided to create a worksheet activity to have him go back and review some of the things he learned. You can download it for free at my Teachers Pay Teachers store. I love watching our plan for learning turn into something much bigger due to a natural curiosity. In this case we have enjoyed learning all about our country, and in turn, our world. I hope some of these activities are inspirational to you too! I am joining other fantastic bloggers for this Adventure Story Book Club blog series. We'll be doing a post similar to this one each month. Take a look at our upcoming themes! 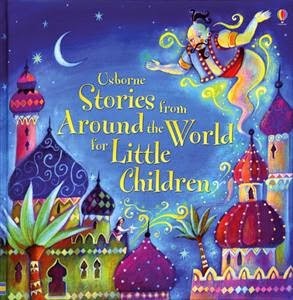 For more Book, Craft, & Activity ideas check out Adventure Story Book Club’s Around the World Pinterest Board. We have been reading BOB Books, and working on sight words as a part of our Kindergarten curriculum. We have practiced in several ways, and some of them have been so much fun that our son keeps asking to practice, even when we aren't working on academics. None of these ideas were my own, but a collection of ideas from everywhere wonderful on the web, and from friends. I just wanted to share those that we are finding most successful with our 5 year old. First of all, he loves to write anything and everything on whiteboards - so his sight words are no different. We do this a couple of times a week. 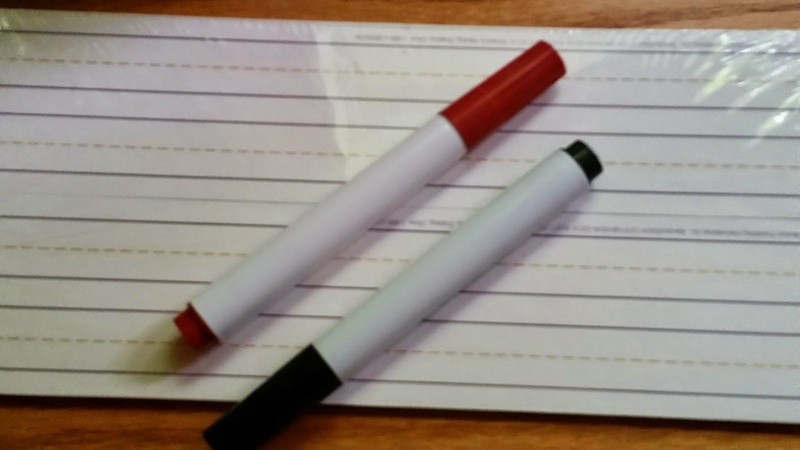 This is a photo of our new, smaller whiteboards that we scored at Target for 70% off last week! For the days when we are on the go , we write his words in his notebook, and he tally marks every time he finds one out in the world. This is great to do at the grocery store, in the car (billboards/signs/etc.) and even out at events or parks. We took his list the last time we went to the zoo, and he found them all! He isn't a huge fan of writing at this stage, so we get some practice in by using a dollar store tray and some salt. 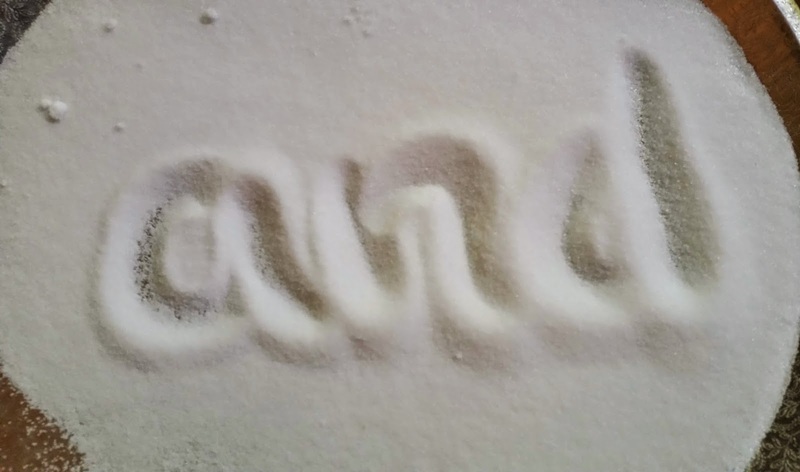 He enjoys writing with his finger in the salt, and thinks this is FUN. I will leave the tray out on days we're using it, and often find him writing his name and even sight words from time to time during some "play" time too. 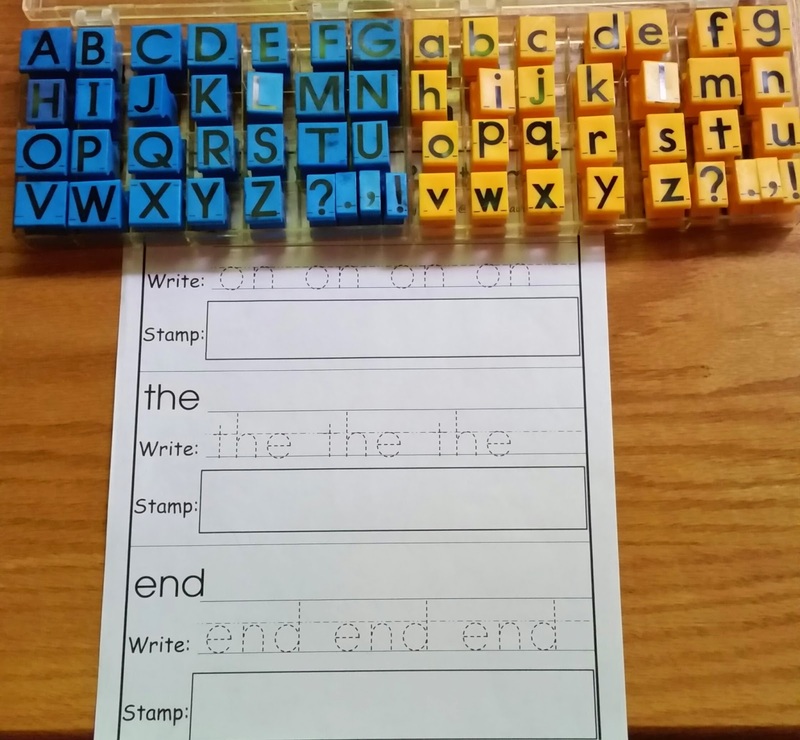 On the days when he moans at the sight of a pencil (o.k., almost every day), we also use letter stamps to practice the words. This is a lot of fun and he loves to use various colors. At some point we'll intentionally use a certain color for vowels, but we aren't quite there yet. We love our stamps! The uppercase can be found here, and the lowercase can be found here! :) The printable comes from Cassie at 3 Dinosaurs and she has a host of other BOB Book printable activities too! Last week we wrote some thank you cards to friends and family. I wrote the note, and left spaces where his sight words would go. He went back and filled them in. He had quite the feeling of accomplishment, and was proud for his family to get the cards and read his writing. He did use his pencil for this one! ;) We didn't get photos of this activity because we were in a hurry to get the cards to the mailbox! 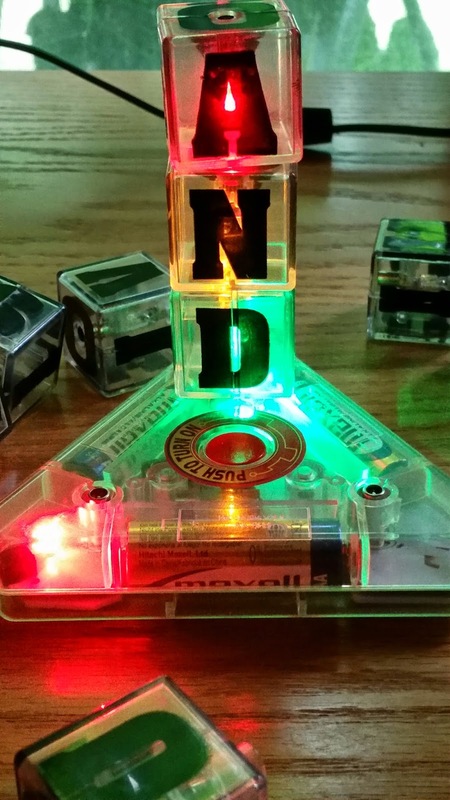 We found these light up letter blocks on clearance last year, and he loves to build his sight words and then light them up! 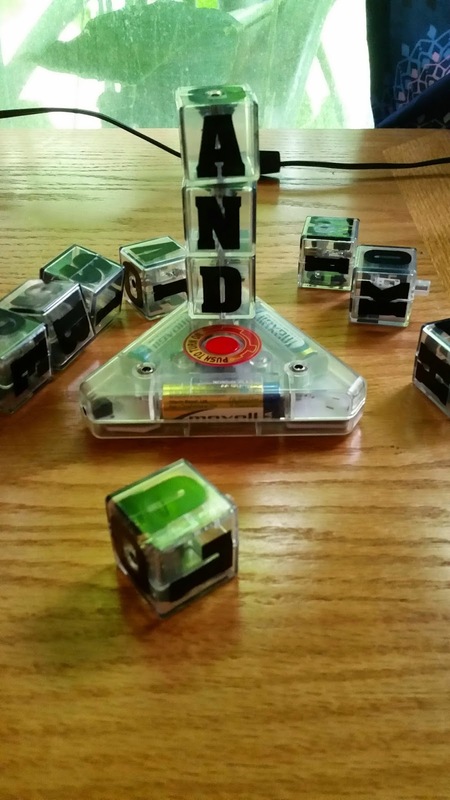 They are called Laser Pegs Letter Blocks Word Play. Last, but by far his absolute favorite is Sight Word Shootout! This idea originally came from Carisa at 1+1+1+1=1 (excellent blog & resources). We did ours a bit different though. 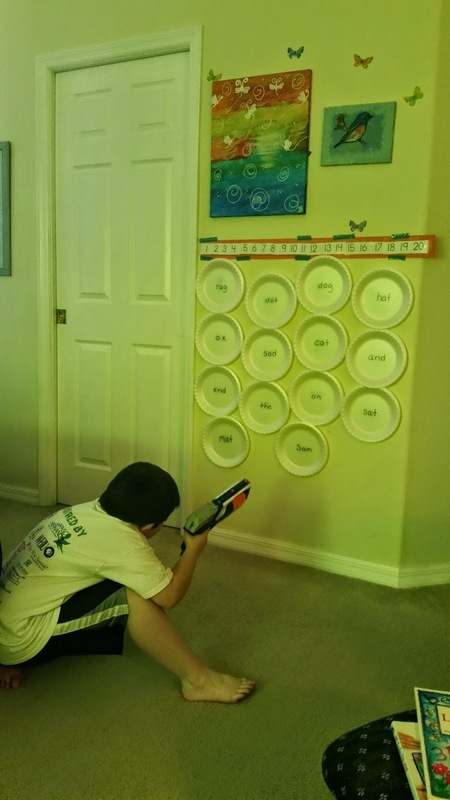 I write his sight words on paper plates and use painters tape to attach them to the wall. 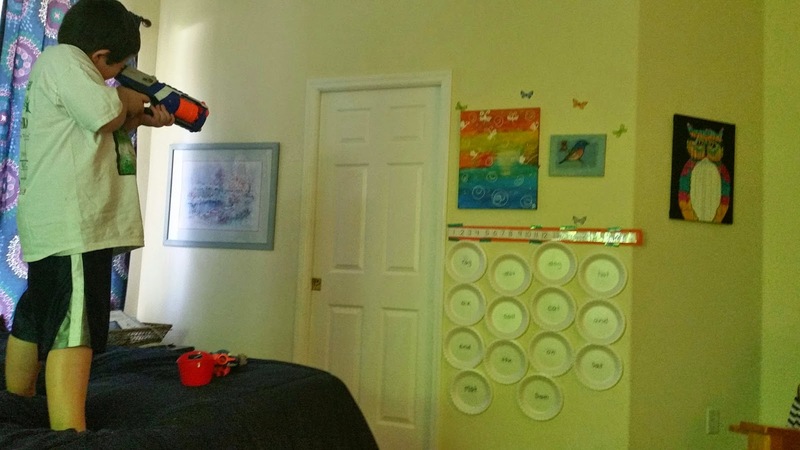 Once he's found his Nerf bullets (all over the house) I will call out a word and he gets to "shoot" it. I like using the plates and painters tape because I can move the plates around and change the order so he doesn't memorize their locations. I have added several to the wall, but we only started with a few. Yes, he really gets into this "game" and even climbs up on the bed to get his "shot" at times. 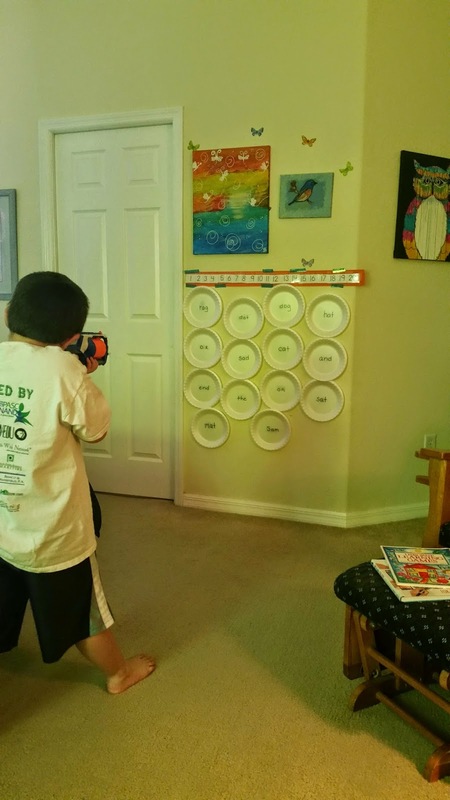 **The numbers on the wall don't have anything to do with the sight word shootout game. We just have it there so he can practice counting backwards from 20. 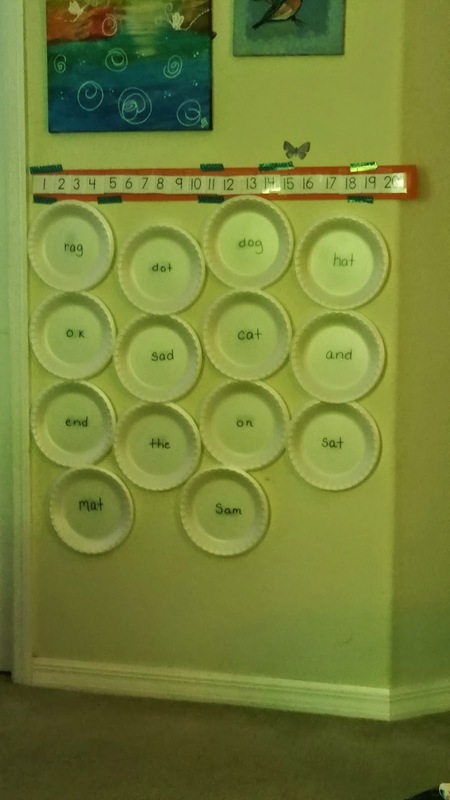 Do you have any fun ideas for practicing sight words? Game Time Is Learning Time! Our son, TC, loves to turn his learning time into a game time. We try to incorporate play into his learning (or vice versa) as much as possible, but we also love to play with him! One of our favorite things to do as a family is to play card games, dice games, and board games. He learns so much through playing these games, and we all have so much fun interacting with each other. We can be pretty competitive! It's not always pretty when game time comes to an end, but I know there are lessons being learned in those instances too. 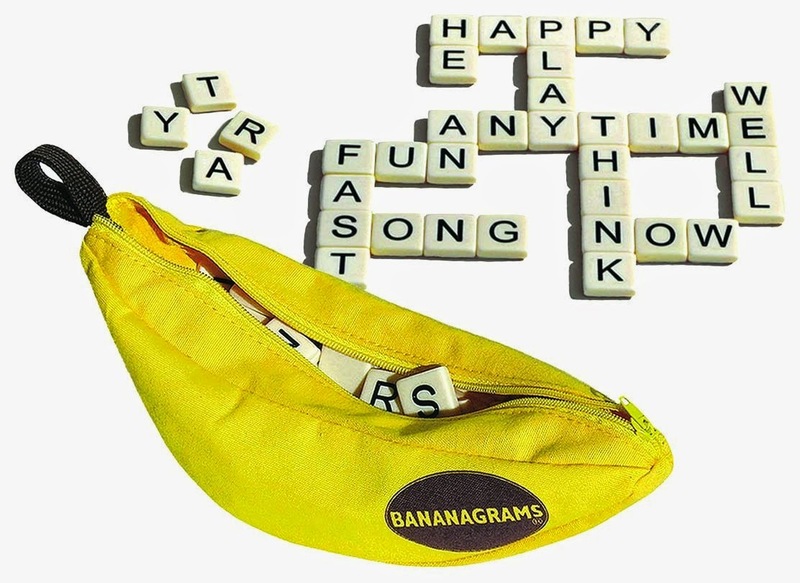 Banannagrams is a great game all on it's own- but the letter tiles can be used in SO many versatile ways! Endless possibilities! 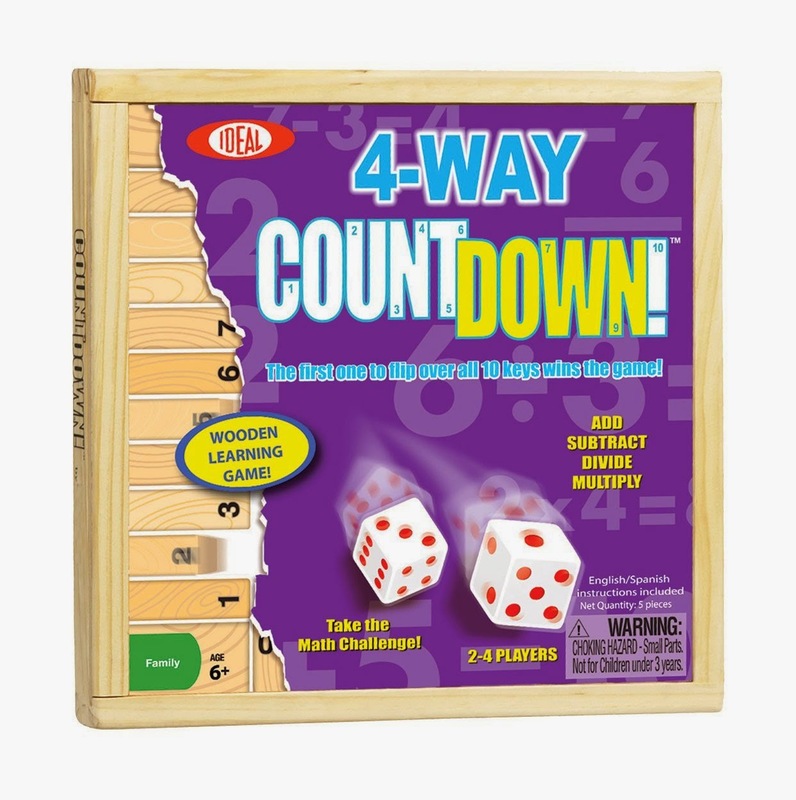 4 Way Countdown is still slightly challenging for TC (we play without the multiplication/ division) but it encourages him to practice with his number sense. We love this one for the older kiddos in the family too! HedBanz makes for a giggle fest! We love it! 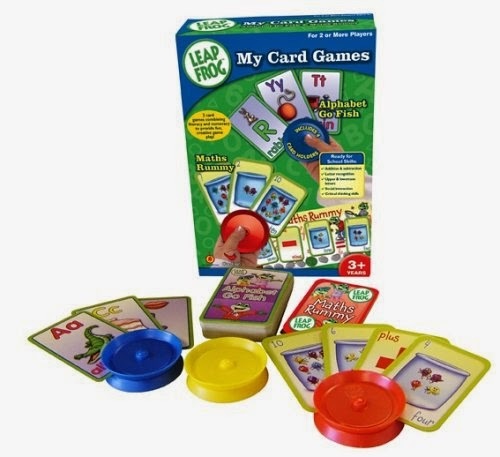 Leap Frog: My Card Games teaches alphabet and number recognition. Buzz! 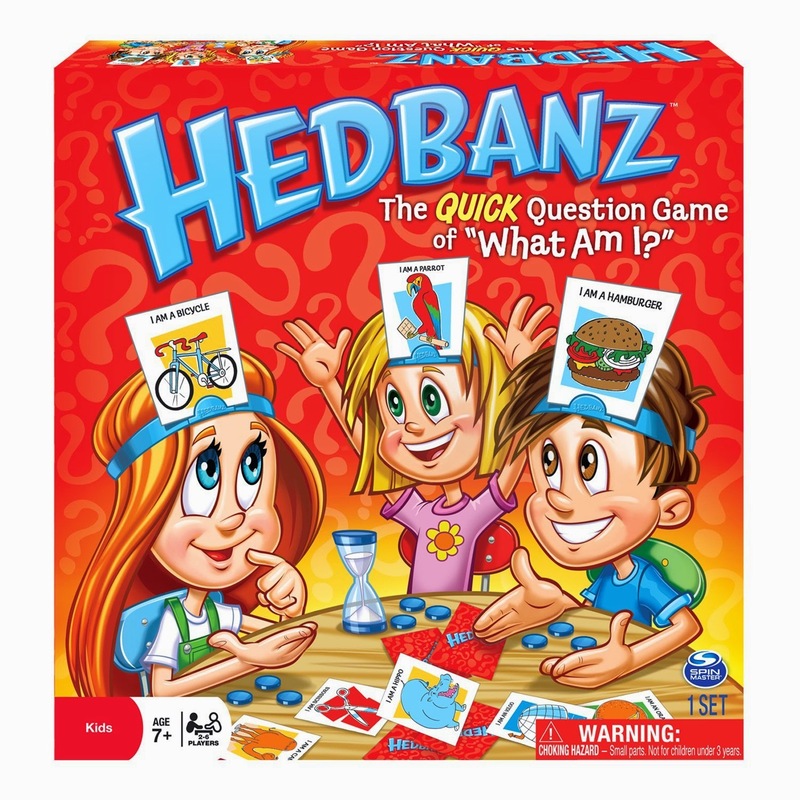 is a cooperative board game for ages 5+, but TC was having fun with this one at 4 years old. 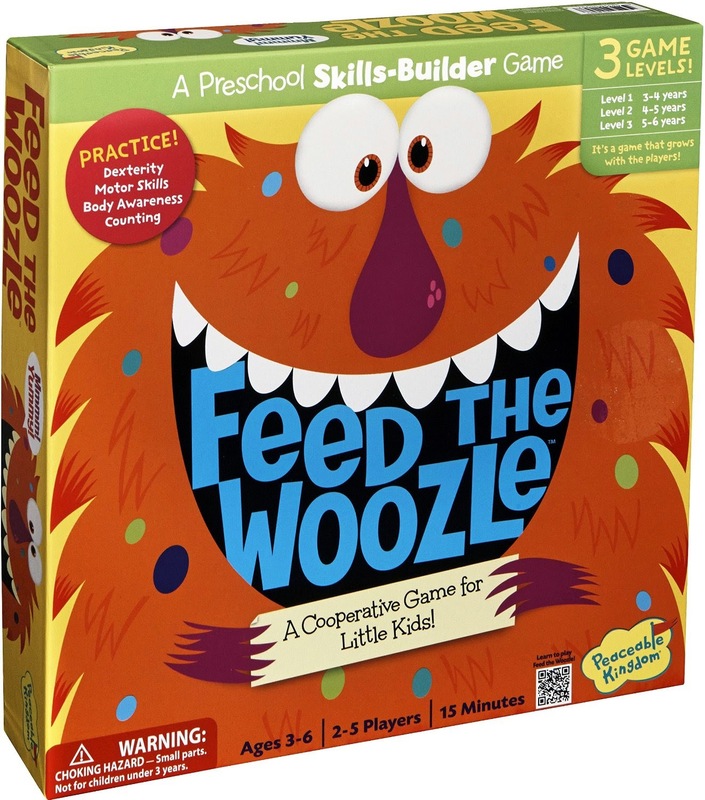 Feed the Woozle is a preschool skill builder game that TC still loves at 5! 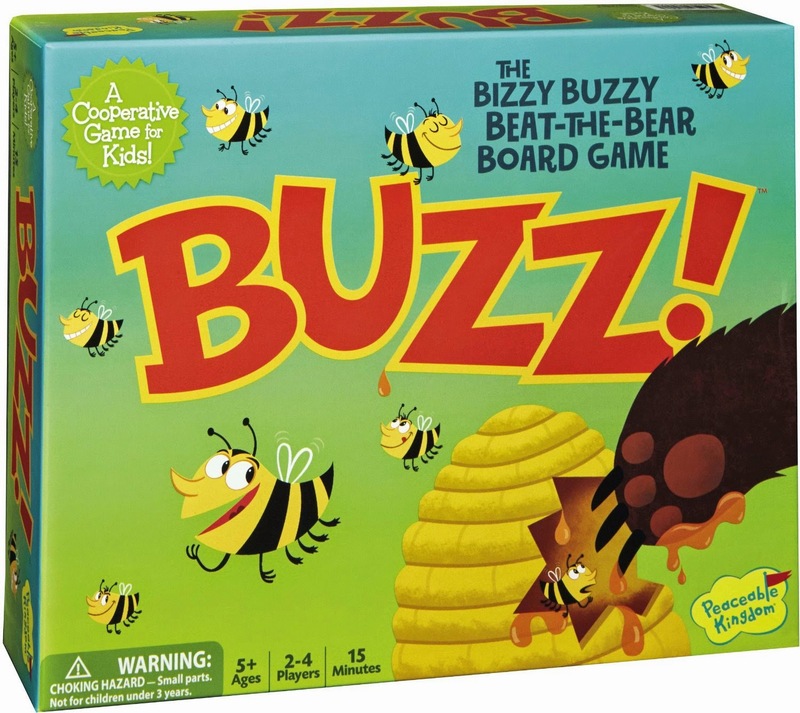 This is a get-up-and-move type game and is fun for the whole family! Sorry! 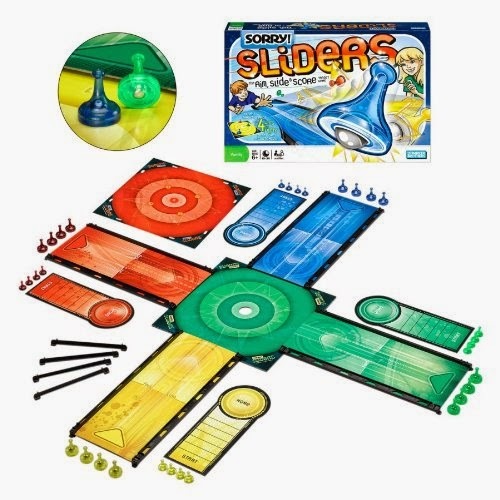 Sliders is fun, and has a few options for play. 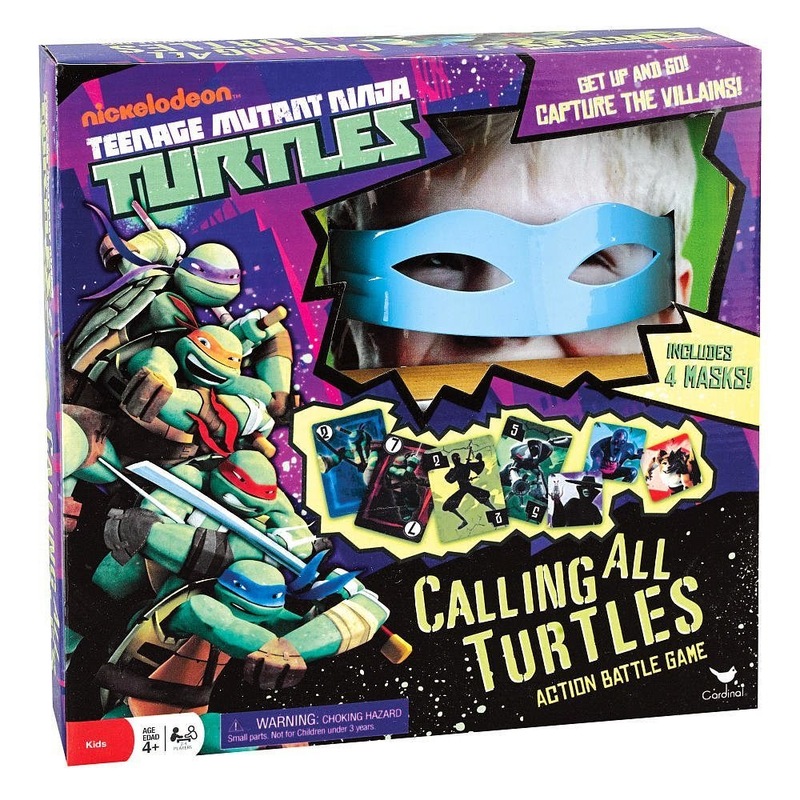 Calling All Turtles: TC got this one for his birthday, and while it's not my favorite- he loves it! This is one of those games that involves some serious action, and requires you to run from room to room. Every kid he's played this with LOVES it! 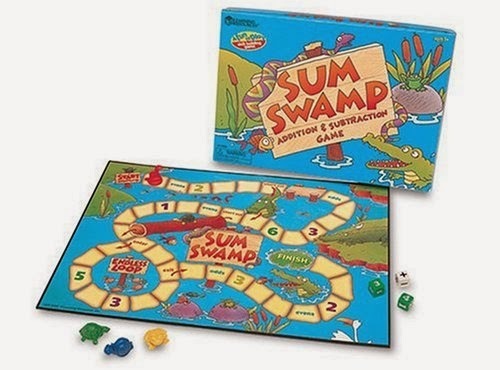 Sum Swamp is a fun game that has our kiddo +/- and loving it! 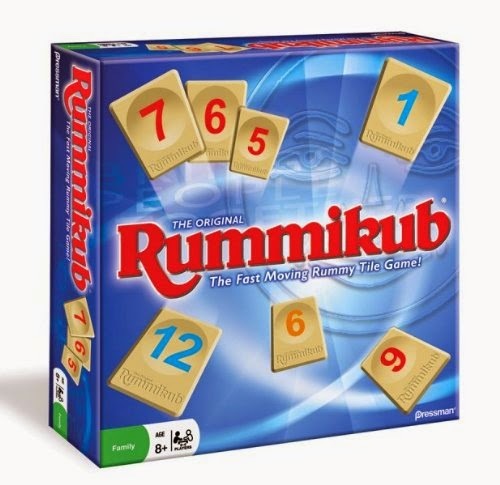 We started playing Rummikub with my Oma (85) and ended up getting our own to play at home. TC can't play this one alone, but he loves to partner with one of us and is learning all about strategy! 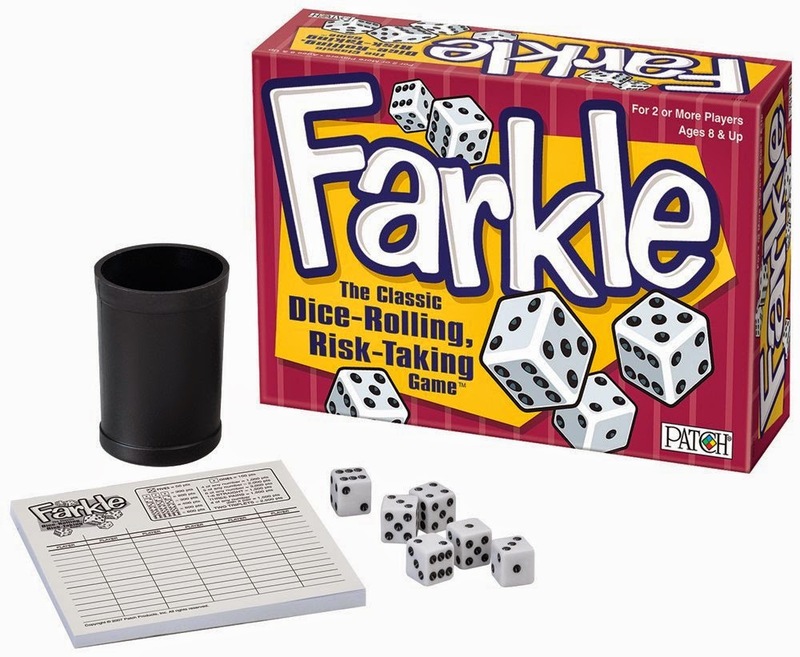 Farkle is so much fun for the whole family! 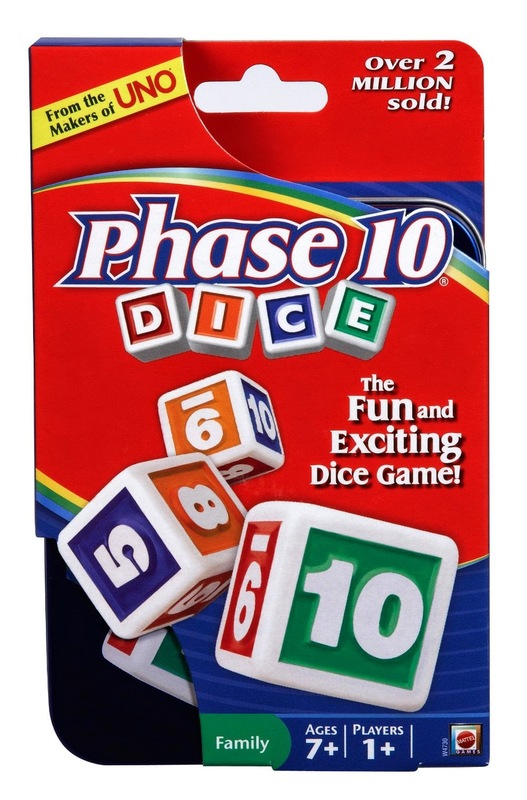 Phase 10 is a fun card game, but we prefer the dice version! 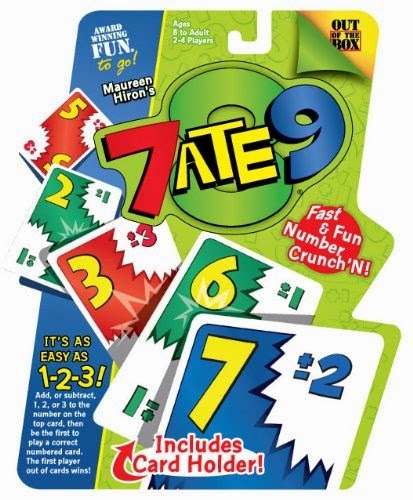 7 ATE 9 is a great + / - game that encourages practice of some basic math facts! 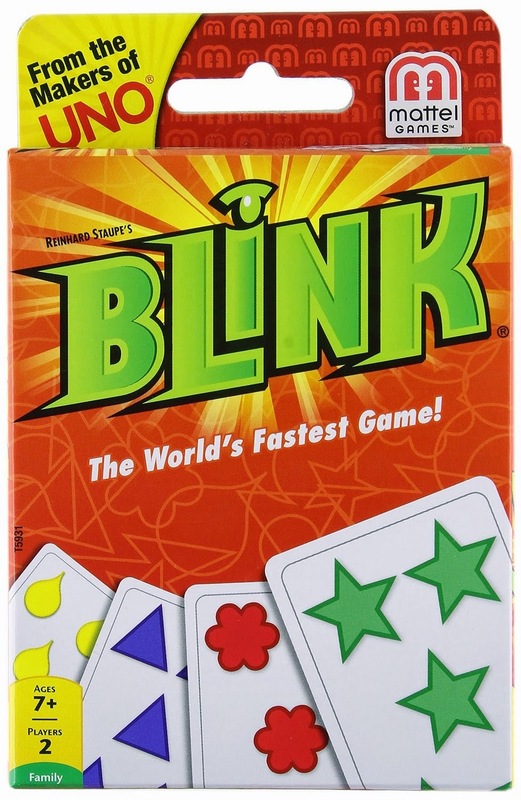 Blink is a new one for us, but is quickly becoming a favorite! Age suggestion is 7+, but our 5 year old picked it up in just two games and loves it! 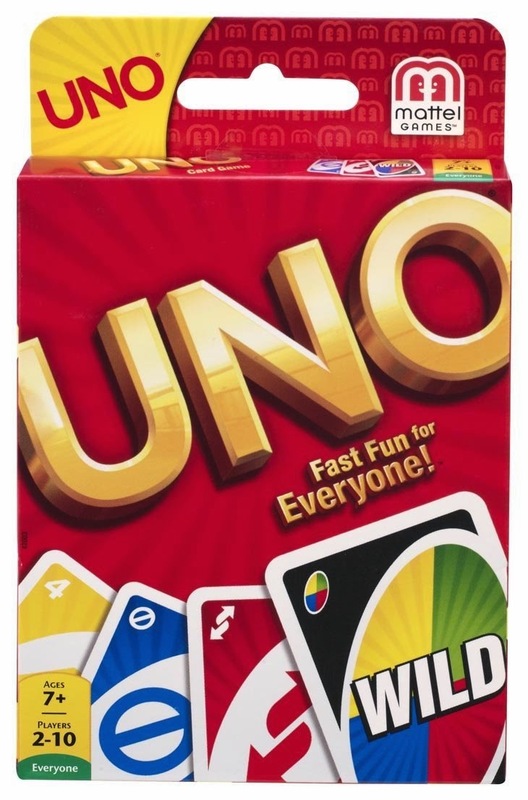 We love to play UNO! It's great for critical thinking and strategy! 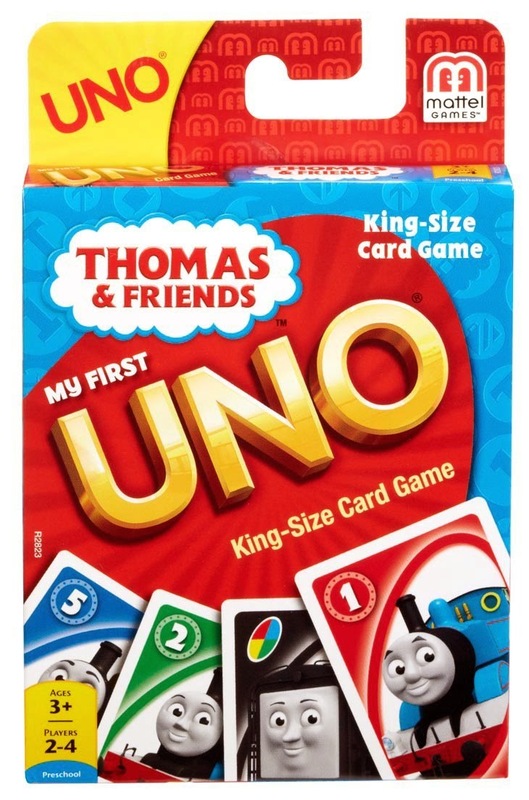 Before TC was old enough to play the original UNO, we played My First UNO as seen here. There are lots of other characters to choose from too! Do you have family favorites? We're always looking to add to our collection! Recommend your favorites in the comments below!